Linda Kim Shelmerdine discovered her considerable powers during her hormonal years (the Sun was having similar problems then). But she read the Superheroes' guide books, and her years in 4-H helped, too. When she was 14 she met Dr. Creep for the first time. He had a lot to learn as a Super Villain, himself. So they sort of grew up together. Now 59, SpaceGirl is somewhat disillusioned with the way Superheroism is viewed these days, both by the public and by other Superheroes. But she takes her job seriously, and takes occasional vacations at her crater-side retreat on the Moon. Her PR guys, the Hungarian Dwarf Parade, take her side at the hearings and fight for her when the lawsuits start, but there's only so much they can do to keep her morale up. 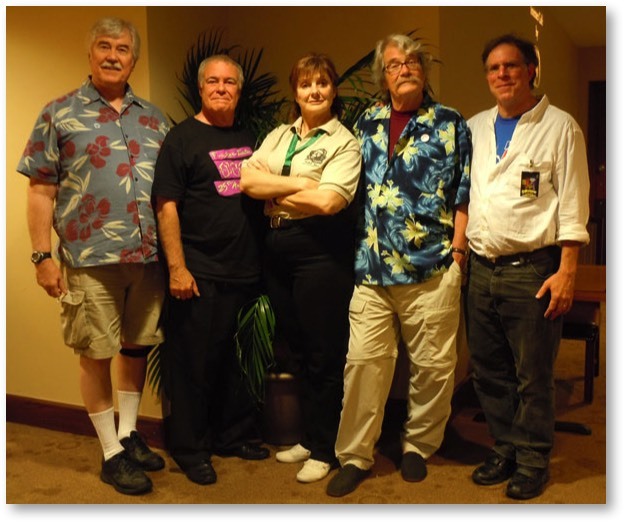 Join Melinda Peterson as SpaceGirl, with David Ossman and Phil Proctor of the Firesign Theatre, and Gordon Smuder of Transylvania TV in this sendup of superhero comics on radio. The clever team of Stearns & Price are back again with another space adventure! Very nice indeed. A tight script, good acting, and surprisingly good sound especially for a live performance. As you´ll hear, there certainly are a lot of laughs in this one. It´s a very polished piece of work. "The collection of CDs you guys have done over the years at the Con embody some of my favorite live performances (and the few opportunities to play in other writers' work!). " 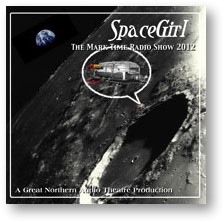 The year 2012 was BIG, BIG, BIG for the Mark Time Radio Show celebrating the 15th Anniversary of the Annual Mark Time and Ogle Awards for best Science Fiction and Fantasy/Horror Audio from around the globe. We called in the BIG Kahunas, and they answered the call. David Ossman, Mark Time himself, returned to the stage along with his/our old friends and compatriots, Phil Proctor, Melinda Peterson, Judith Walcutt and Richard Fish. 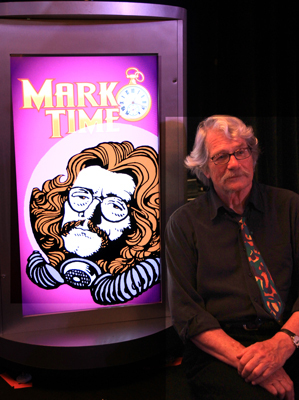 One name was missing--Firesign Theatre founder Peter Bergman had agreed to participate and then suddenly and tragically died of leukemia in the Spring. We dedicate the Show to Peter. There was no moment of silence for him that weekend in July, just many moments of laughter and fond remembrance for one of the 20th century's funniest and most influential crazy guys. A BIG thanks to CONvergence for supporting the show and to the Geek Partnership Society for sponsoring the awards themselves.